is presidential professor of philosophy at the University of Oklahoma. Her latest book is The Wrong of Rudeness, due from Oxford University Press in July 2019. I took his wallet, and left burdened by the weight of coming loss. It descended on me that when my grandfather died, I would have no one who talks with me this way, no one with whom to share life’s radical intensities cast in the archaic rhetoric of gentle understatement. With my grandfather, I occupied a world where thieves are ornery fellas, pants are britches, wallets are pocketbooks, and theft is loss. Death itself was an ornery fella of sorts. My grandfather did not want to die, but the most he ever said on this score was that he would ‘prefer to abide a little longer’. Bereavement always entails a loss of language, as relationships give rise to idiosyncratic vocabularies born of time and shared experience. Because death ends relationships, it ends the characteristic exchanges in which these relations find their being, ways of talk and understanding formed together. Nonetheless, there is something distinctive in the loss of elders. It is here that we lose a native tongue, the language in which we learn a world. The world as we first find it is the one they give to us and describe for us. In part because of this, the ancient Chinese philosopher Confucius suggested that mourning a parent requires human beings ‘to give of themselves utterly’. According to an early Confucian idiom, the death of elders, that most commonplace of sorrows, is in fact life’s most disturbing intensity. Relative to much of Western philosophy, there’s something peculiar in the Confucian attitude. After all, death at the conclusion of a long life is the best that we can expect where all are mortal. Losing elders is the way of things, and the way of things we prefer. Better by far that children outlive their parents, and grandchildren their grandparents. In any catalogue of loss, when we talk of endings, the death of an elder seems to be a milder species. If we find these deaths bad, is not death itself – all death – terrible? If we cannot with equanimity countenance the passing of our elders, perhaps there is no passing that can be countenanced. To locate the deaths of elders within the wider field of mortal possibilities is to find them good and timely, prosaic and predictable – and we might thereby imagine that grief will be quieted. The trouble with this reasoning, Confucius suggests, is that grief is never much about death. One can be well with death, and yet grieve. Confucius greeted his own death with equanimity, content to die in the arms of friends, he said; he counted his life in its entirety as the only prayer and supplication its end required. Yet when the mound of earth marking his parents’ graves collapsed, so did he, weeping inconsolably over the symbolic insult heaped upon the original injury. The wise might accept death, but wisdom affords no protection against sorrow. For it is not death, but loss that is the spur to grief – and the loss of elders is loss like no other. We come to ourselves by way of myriad others, our identities formed in relationship with others. On this score, relationships to parents and grandparents are distinctive. Theirs is our first language, the world they sketch in conduct and speech the map from which we begin. In a recurrent image in Confucian philosophy, elders ‘root’ us, biologically but also morally and existentially. We flower – in understanding, in caring, in purpose – because we draw deeply on what they have made and offered. When we are nurtured well, we incur a debt we cannot discharge. Living well is proper payment for their tuition, but its full measure resides in a future they will not share, when we become the elder to others. The same generational sensibility that counsels us to accept the deaths of our elders is precisely what makes their loss so seismic and terrible. 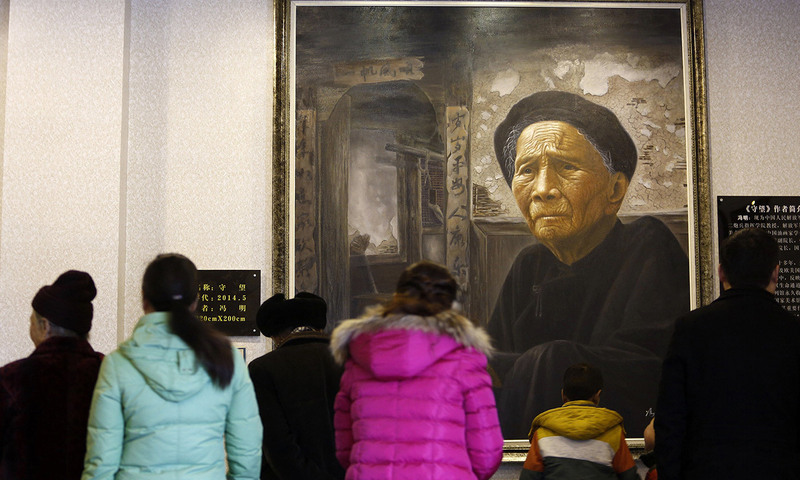 In Confucianism, watching one’s parents grow old is at once ‘a source of joy’ and ‘trepidation’: even as we celebrate being kept long in their affection and company, the way of things entails we cannot keep them. Their ageing carries intimations of a coming solitude unlike any other. While we wish the aged to pass before the young, we dread the fact their passing will oblige us to find our own authority, and the day must come when the only seasoned wisdom we can find will be our own. Here, too, a contrast with Western philosophical thinking is instructive. In the foundational texts of Western thought, the paradigmatic human relationship is friendship. The tradition’s modest consolatory literature focuses on just this, the loss of companions. Significantly, the principal prescription for grief is the recognition that where one has been a friend, one can be so again. Friends are not replaceable, but they can be multiple. The loss of a parent or grandparent is not like this. However rich our relations, none but my parent can be to me a parent; none but my grandparent can be to me a grandparent. Others who fulfil something like these roles for me can only ever be like. They cannot occupy the role entire, for the role reaches back beyond my own beginnings and experientially binds the world as I have always known it. A world without parent or grandparent, the world begun in loss, is uncharted and unprecedented, a territory beyond where all my maps of prior experience end. We sometimes speak as if the deaths of elders warrant less grief – as if in ageing, life is worn out and leaves no remainder to which real sorrow can attach. In the Confucian idiom, however, all our tidy reasoning about what mortals must expect and should accept doesn’t replace the ‘ornery’ truth of our dependence on beloved elders. When age cannot abide a little longer, it leaves much in remainder. It entrusts what it can to the safekeeping of youth, even as youth must walk on, bereft and burdened, alone like it has never been before.